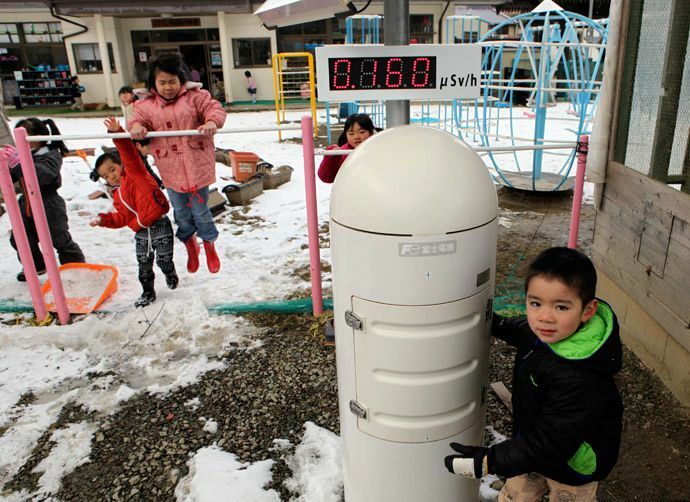 Katsutaka Idogawa, former mayor of Futaba, a town near the disabled Fukushima nuclear plant, is warning his country that radiation contamination is affecting Japan’s greatest treasure – its children. 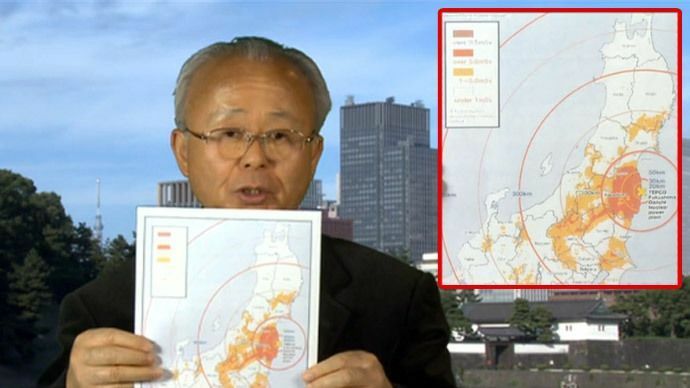 Idogawa alleges that the government has started programs to return people to their towns despite the danger of radiation. According to Idogawa there are about two million people residing in the prefecture who are reporting “all sorts of medical issues,” but the government insists these conditions are unrelated to the Fukushima accident. Idogawa wants their denial in writing. Once again, Idogawa alludes to the nuclear tragedy that hit Ukraine on April 26, 1986, pleading that the Japanese people “never forget Chernobyl.” Yet few people seem to be heeding the former government official’s warning. 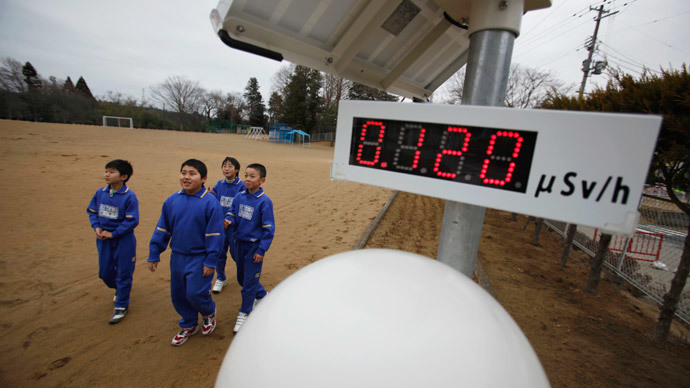 “They believe what the government says, while in reality radiation is still there. This is killing children. They die of heart conditions, asthma, leukemia, thyroiditis… Lots of kids are extremely exhausted after school; others are simply unable to attend PE classes. But the authorities still hide the truth from us, and I don’t know why. Don’t they have children of their own? It hurts so much to know they can’t protect our children. In Idogawa’s opinion, the same treatment does not apply equally to the people most intimately connected with Fukushima: the workers involved in the cleanup operations. “Their equipment was getting worse; preparation was getting worse. So people had to think about their safety first. That’s why those who understood the real danger of radiation began to quit. Now we have unprofessional people working there. They don’t really understand what they’re doing. That’s the kind of people who use the wrong pump, who make mistakes like that. “I’m really ashamed for my country, but I have to speak the truth for the sake of keeping our planet clean in the future. Idogawa then made some parallels with one of the most tragic events in the history of Japan: the use of atomic bombs on the industrial cities of Hiroshima and Nagasaki by the United States at the end of World War II. When pressed on the details of a United Nations report that says there have been no radiation-related deaths or acute diseases observed among the workers and general public, Idogawa dismisses it as “completely false,” before providing some of his own experiences at the height of the crisis. Asked about other options that Japan has for providing energy sources to its 126 million people, he responded that despite having many rivers, the government neglects to promote hydro energy. Idogawa goes on to provide a blueprint for fulfilling Japan’s energy needs that sounds surprisingly simple. 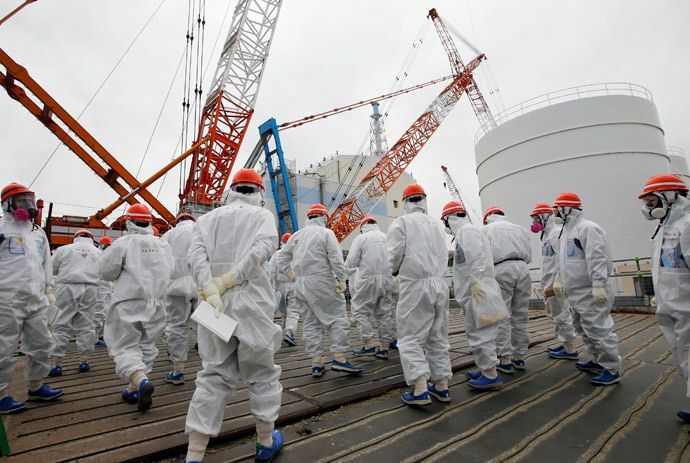 Even before the massive failure at the Fukushima nuclear power plant on March 11, 2011, the day northeastern Japan was hit by an earthquake-triggered tsunami that caused the meltdown of three of the plant’s six nuclear reactors, Idogawa knew the facility was dangerous. The former mayor, who happened to be in a nearby town on the day the tsunami struck, recalled driving back to Futaba upon news of the earthquake. Only later did he discover how close he came to losing his life in the approaching tsunami. “Usually you couldn’t see the sea from there, but that time I could see it just 300-500m away,” he said. It was at that point that the mayor realized that the nuclear power plant had probably suffered some sort of damage. After spending the night watching news reports on television, the only source of information since even mobile phones were not working, Idogawa announced an emergency evacuation early the next morning. Not all of the residents, however, heard the emergency broadcast. Katsutaka Idogawa believes a transformation to a cleaner, safer form of energy source for Japan would require a willingness to change the country’s laws. But for the former mayor of a devastated Japanese town, lost to nuclear radiation, Idogawa senses a sea change forming in public opinion.